Pick Analysis: Although Byard looks and plays (312 career tackles) like a strong safety, he often finds himself in the back half of the secondary guarding the prize for the Blue Raiders. He’s at the top of the active player career interception list with 19, scoring on four of them in his first two years on campus, and has broken up 17 passes during that time. 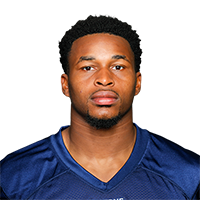 A four-time all-conference pick, Byard was a second-team All-Sun Belt pick (and FWAA Freshman All-American) in 2012 before garnering honorable mention All-Conference USA notice in 2013 and first team accolades in C-USA the past two seasons.